A 7.3 magnitude earthquake struck today 37 kilometers from Fukushima, Japan. 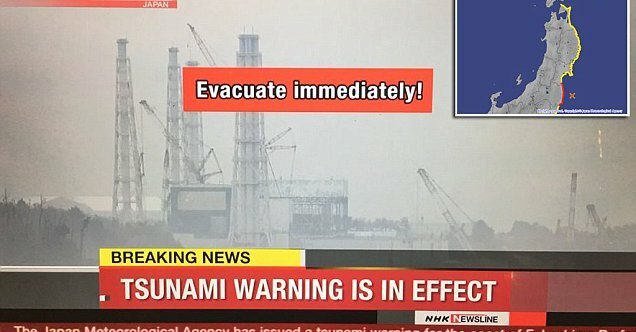 A tsunami warning was issued on the mainland. Up to 10 foot waves from issued for Japan after the quake. NHK has a live broadcast from the region. Trains were stopped after the massive quake.